?2018 Cadillac CT6 Platinum AWD? GM?s luxury brand Cadillac launched the Cadillac CT6 full size sedan in 2016 as its flagship model. Its purpose and goal was to serve as meaningful competition for the trio of Teutonic luxury sedans ? Audi, BMW and Mercedes-Benz. 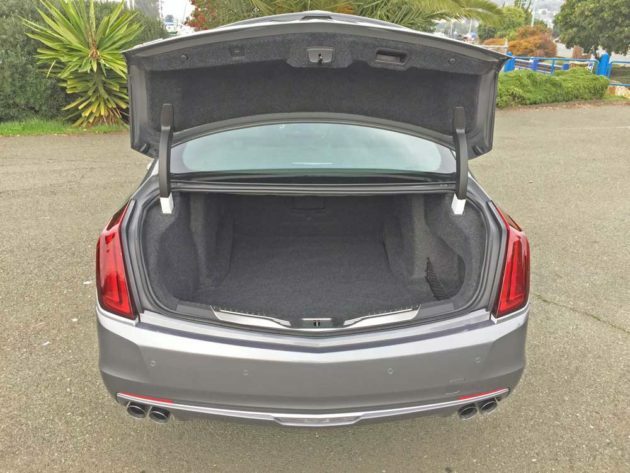 The 2018 Cadillac CT6 is offered in four levels of trim ? the base CT6, Luxury CT6, Premium Luxury CT6 and the top of the line Platinum CT6. A plug-in Hybrid joined the lineup in 2017 initially focused on California, along with a few other states. Last year I reviewed a CT6 powered by a 2.0-liter, DOHC, 16-valve Inline Turbocharged 4-cylinder engine with Direct Injection, VVT and Auto Stop/Start. It produced 265 horsepower along with 295 pound feet of torque. At launch the CT6 offered three direct-injected engines, from the 265-horsepower 2.0-liter turbo-4 through a naturally aspirated 335-hp 3.6-liter V-6 and up to the star of the line, a 404-hp 3.0-liter twin-turbo V-6. All engines transmitted power to the rear wheels through an 8-speed automatic, with all-wheel drive as a V6 model option. For 2018, the CT6 adds a semi-autonomous SuperCruise adaptive cruise control option that allows hands-off driving in specific driving scenarios. Other changes are minor, including the addition of gas and brake pedal operation to the Park Assist feature, and some new paint hues. 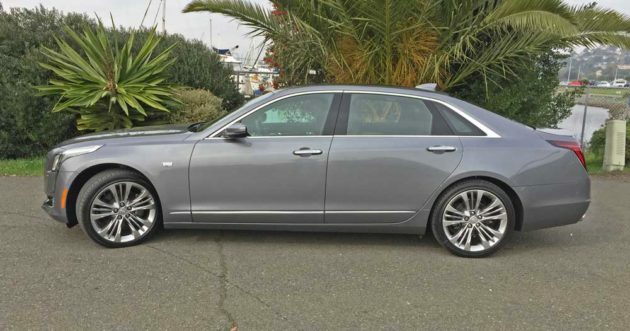 The Cadillac CT6 is not only performance oriented, but also it is a full size 5-passenger sedan that provides luxurious and comfortable transport for five at a mid-level price point than many competitors. 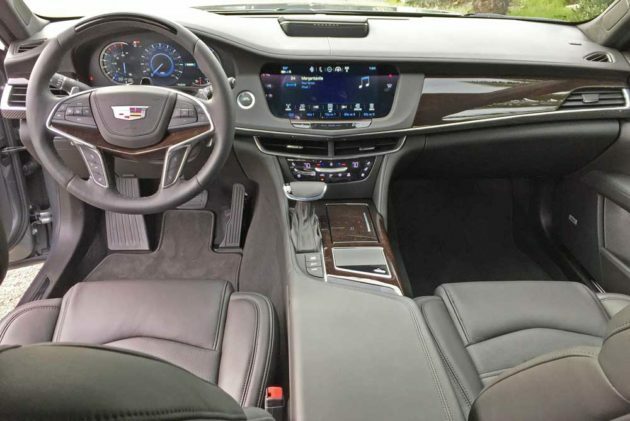 In addition, it is drop dead gorgeous with contemporary, state-of-the-art styling and technological features, Cadillac?s Cue connectivity and the latest in safety and driver aids. 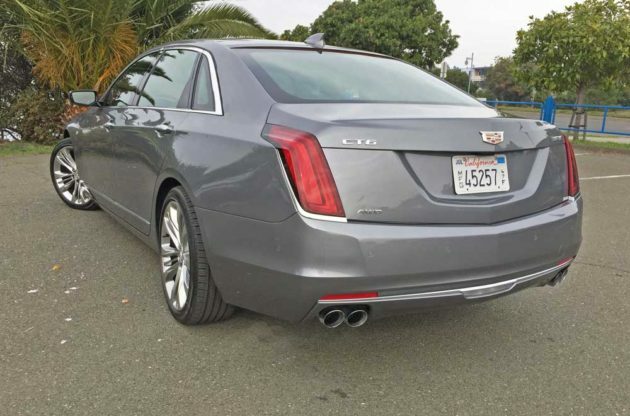 Combining a distinctive simplistic, elegant, less angular design with a lightweight body, excellent handling and road holding attributes, The CT6 weighs about the same as Cadillac?s CTS sedan, but it?s 8.5 inches longer. The bigger CT6 stretches the sheet metal over the longer, low, broad-shouldered, and muscular body, incorporating straight edges and flatter surfaces rather than arcs in a form that blends the long hood with the high shoulder and expressive 20-inch wheels. 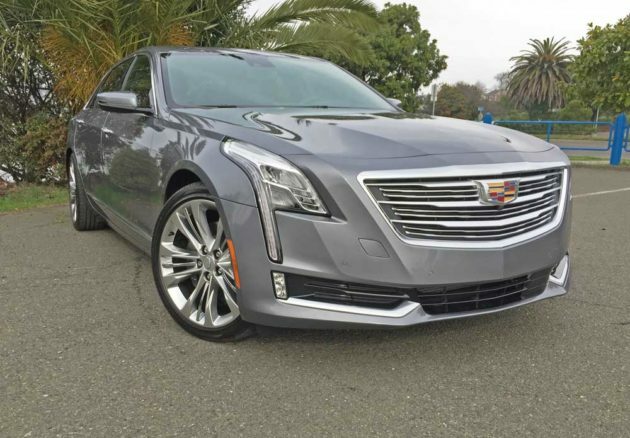 Up front the CT6, displays a broad grille with distinctive textured cross-hatching and the large, prominent Cadillac crest. 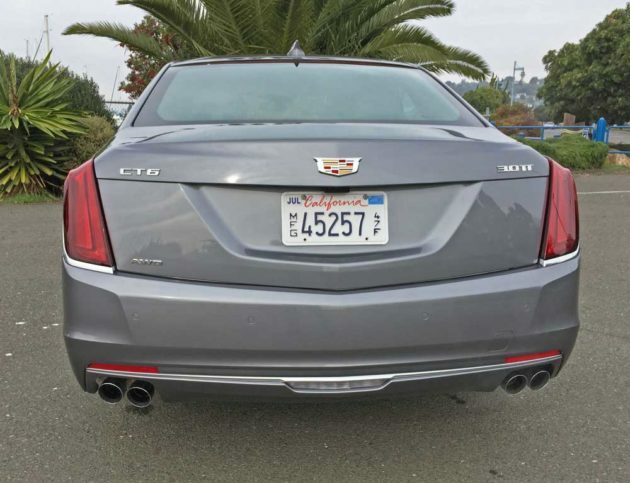 The vertical LED headlights sweep up and over the fender?s top, while the signature vertical Cadillac taillights serve to distinguish the rear. The overall design comes together distinctively, and it lets the CT6 showcase a look all its own. Moving into the cabin the CT6 delivers a balance of luxury and functionality, without the excess of its SUV sibling, the Escalade. 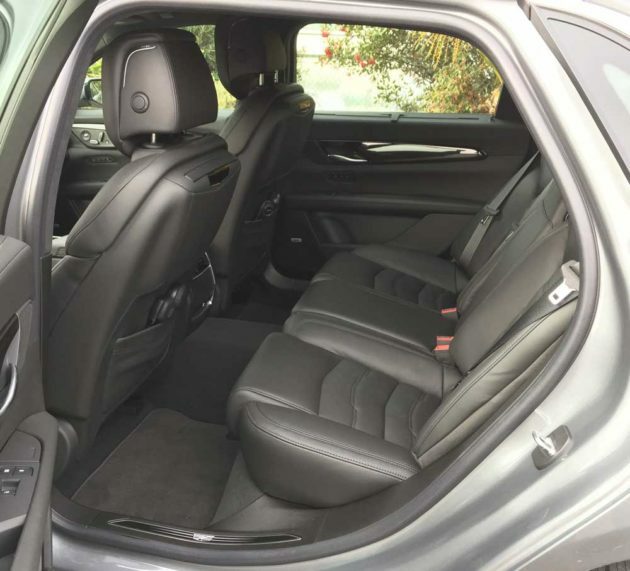 Satin chrome and stained wood trim with delicate carbon-fiber accents, and supple leather seating. The dash styling displays the width of the CT6, with an expressive character line running from side to side. The hood?s center peak is repeated in the top of the dash, while the center touchscreen is framed in a shape reminiscent the grille?s outline. The interior ambience is expertly crafted and comfortable. The standard feature and equipment inventory is most impressive. Optional features that enhance the driving experience and safety are also available. In the safety department, ABS disc brakes, traction and stability control, front seat side airbags, front knee airbags and side curtain airbags are all CT6 standard fare, as is a rearview camera, OnStar with auto crash notification, on-demand roadside assistance, remote door unlocking and stolen vehicle assistance. My test 2018 Cadillac CT6 came in Platinum trim and the AWD configuration, powered by the 404 horsepower, 3.0-liter twin-turbo V6. 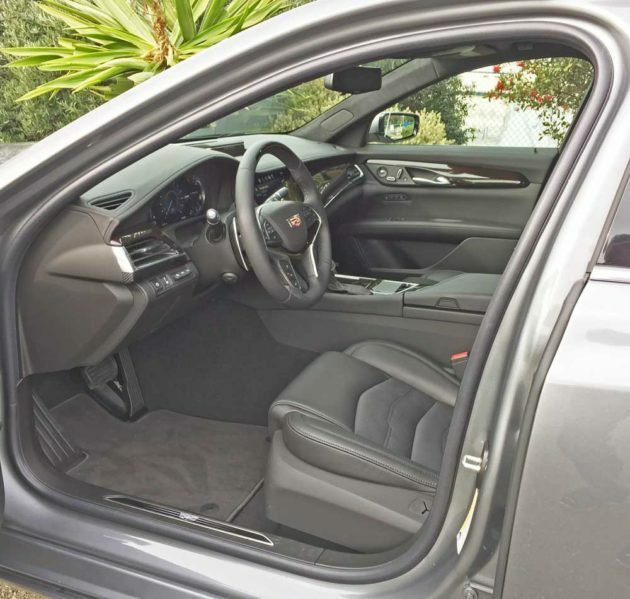 The exterior finish was Satin Steel metallic, with the interior done in sumptuous Jet Black leather.. The base price was set at $88,295. The final tally came to $89,290. After factoring in the Destination charge. 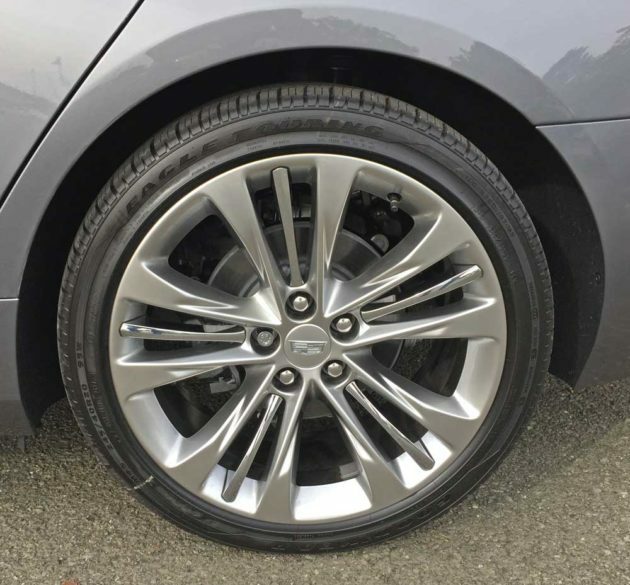 There were no optional costs, as the Platinum AWD edition comes fully loaded. SUMMARY: The 2018 Cadillac CT6 handles on a par with most Europeans and Asian luxury sedans delivering more than ample power from its twin-turbo V-6. The 3.0-liter twin turbocharged V-6 hurtles from 0-60 mph in 5.3 seconds and provides passing power at virtually any speed. The larger engine and all-wheel drive place more weight on the front wheels, creating more understeer when pressed through the twisties. The electric steering is smooth and responsive in all modes, working with the suspension componentry that can feel somewhat stiff. Regardless of the driving mode selected, from Tour to Sport, the CT6 always delivers a firm and stable ride quality. Magnetic dampers and active rear steering come optionally with the Active Chassis package on lower trim levels. The 3.5 degrees of rear-wheel steering render parking lots friendlier, keep in mind that the CT6 is still a long, large car in spite its athleticism. 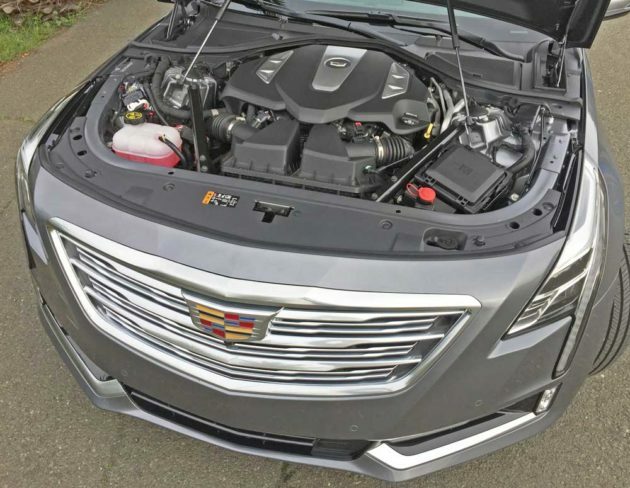 As with its smaller stable mates, the CT6 exhibits the latest of Cadillac?s knowledge in materials and engineering. The chassis is one of the stiffest with one of the lightest bodies in its class, providing exemplary roadholding ability, rapid acceleration, handling attributes and overall pleasurable motoring. To date, there isn?t a high-performance ?V? model, but I wouldn’t rule it out for the future. For those seeking an American Luxury Performance Sedan capable of competing with some of the best that Europe and Asia have to offer ? your search may well be over. It should definitely be seen in person to be properly appreciated. In the final analysis, the 2018 Cadillac CT6 Platinum AWD with SuperCruise is definitely no longer the old land yacht ?Caddy? of yesterday, but is now rather a solid and impressively agile executive class luxury sedan with power to spare even in the base model. Engine Type and Size: 3.0-liter, DOHC, 24-valve twin turbo V6 with Variable Valve Timing, Direct Injection and auto Stop/Start. Brakes: Power-assisted four-wheel Discs with ABS, EBD, ESC, Stabiltrak and BA. Tires: Good Year/Eagle Touring 245/45-R20/95W All Season mounted on 5 -?V?-spoke Silver painted alloy wheels with chrome separator spokes (15 total).